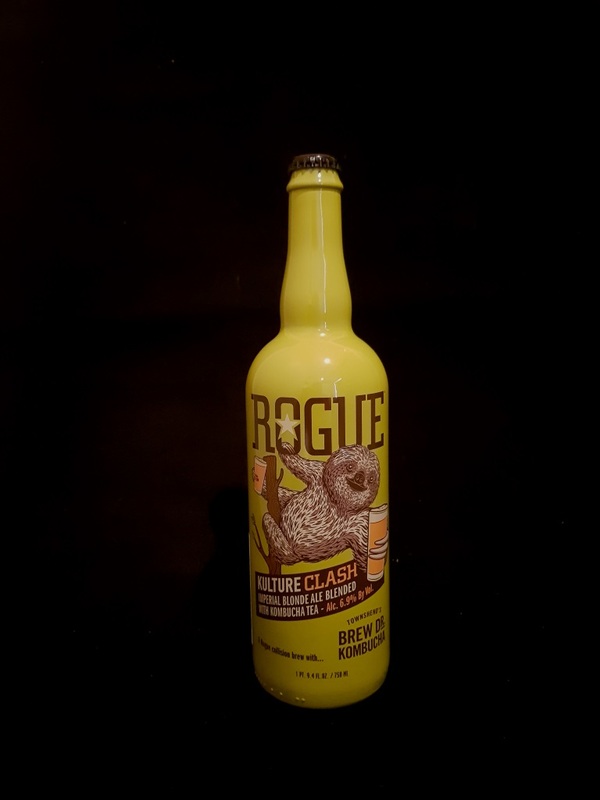 Beer #2926 is an imperial blonde ale brewed by Rogue Ales in Newport, Oregon, America. A imperial blonde ale blended with kombucha tea (which I’m not familiar with). It’s tarty and sour but not too much, and tingles the mouth and tongue. In the background there’s a touch of sweetness, perhaps even honey, with tangy lemon citrus upfront. The tea isn’t noticeable at first but slowly builds as you progress through the bottle but even then it doesn’t leap out at you. Different. The bottle size is 750ML with an alcohol content of 6.90% (containing approximately 4.10 AU / 5.20 UK standard drinks), and it costs $34.99.